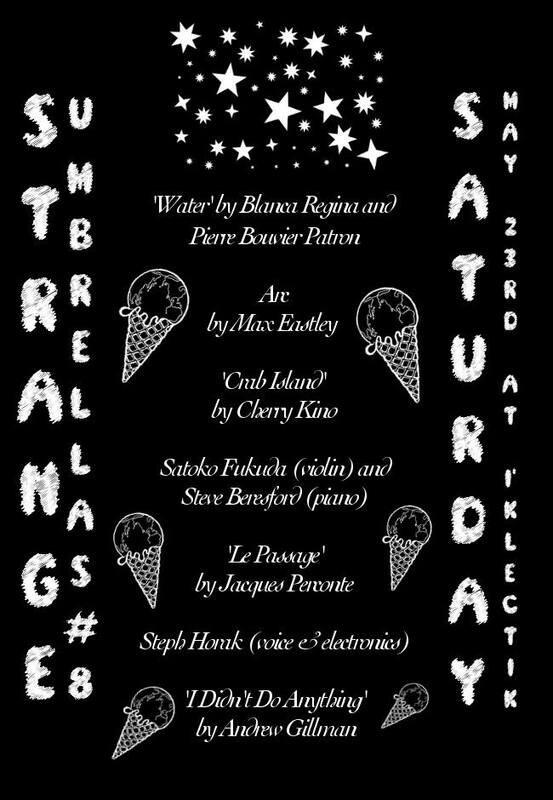 Bound by a love of strange umbrellas, we organise special evenings of improvised music and art. Curated by Steve Beresford, Jack Goldstein and Blanca Regina. Strange Umbrellas present free improvisation, live video, films and other things. All proceeds will be split between Direct Relief for the Nepalese earthquake and Baltimore United for Change – ensuring that every person arrested, regardless of charges, has access to proper legal representation.